The Single Malt Whiskey Store are proud to stock the excellent Arran 14 Year Old Whisky, 70 cl. With so many on offer today, it is good to have a make you can recognise. 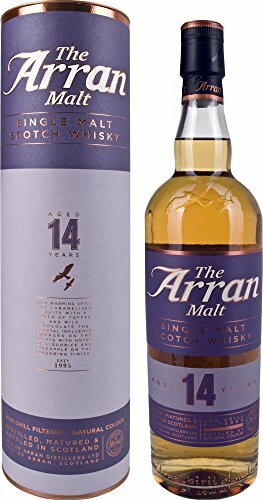 The Arran 14 Year Old Whisky, 70 cl is certainly that and will be a great buy. 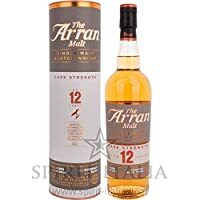 For this price, the Arran 14 Year Old Whisky, 70 cl comes widely recommended and is a popular choice with many people. Arran Distillery have provided some great touches and this means great value for money. Limited stock.Colour: Sunset CopperNose: Dried fruits, vanilla and toffee up front. With a little water a salty tang appears, with caramelised fruits indicating a depth of flavour.Palate: An initial burst of brine leads onto warming toffee apples and hazelnuts. This is followed by dates, chocolate orange and spiced tea cake. 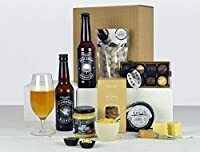 The mouthfeel is overwhelmingly rich and weighty.Finish: A trademark Arran finish with cinnamon spices leading back to where the experience began, with a classic island-style salty wave balancing the sweet-fruit of the palate. Dried fruits, vanilla and toffee dominate the roma of the 14year old. With a little water a salty tang appears whilst caramelised Fruits indicate the depth of flavour to come. An initial burst of brine leads onto warming toffee apples and hazelnuts. This is followed by dates, chocolate orange and spiced tea cake. The mouthfeel is overwhelmingly rich and weighty. A trademark Arran finish with cinnamon spices leading back to where the experience began, with a classic island-style salty wave balancing the sweet fruit of the palate.